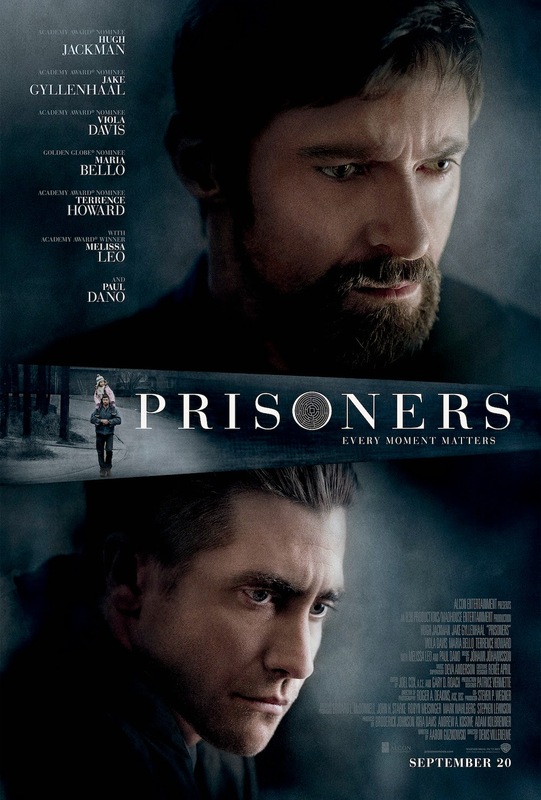 Essential plot rundown: Two little girls are kidnapped, so their fathers go after the kidnapper. When I first saw this trailer, I thought it looked amazing. It looked like it would be emotional and hard to watch. I was expecting a powerful film. However, what I actually got was a little bored. 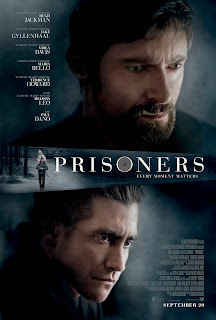 Prisoners wasn't a bad film, it just wasn't that good either. And that is the biggest problem with the film: it had lots of potential but didn't deliver. Let's start with the plot. The story itself was really good. It tackles an interesting subject and asks some hard questions. But, something was lost in the transition from page to film. The script could have been a little tighter; it's a 2 and 1/2 hour long movie and there were times when I felt bored. So quickening the pace would have helped. Some of the dialogue was awkward and there were some small plot-hole things; but those are inconsequential. The biggest problem, I felt, was the lack of character development. The girls are literally kidnapped in the first five minutes of the movie, so I never got the chance to get to know them or their family. They were strangers to me. It's like seeing those missing child posters and feeling bad because they are missing, but you don't get emotional over them because you don't know who they are. If they would have pushed the kidnapping back further into the movie and given us time to get to know the characters, see the parents interact with their kids, it would have been an a lot more effective film. But, I didn't really care about the girls nor their parents. Intellectually I understood why Wolverine was doing what he was doing but I wasn't invested emotionally. And I didn't think the acting was too great either. 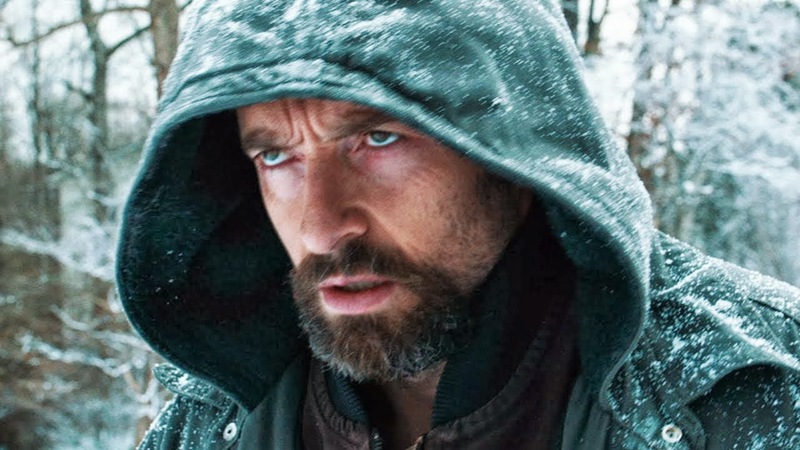 Hugh Jackman has the most screen time. And while not bad, he did seem to over act at times. I like Terrence Howard as an actor, but he doesn't do much here. But that's because he isn't given much to do. I wanted to see more of him. But the worst was Jake Gyllenhaal. I didn't like him at all. He just seemed weird and I never knew what he was feeling. And what was up with the old lady makeup? They couldn't just cast an older actress? That was kind of distracting. But, overall it's a decent film. Not anything to rush out and see; but it's also not a waste of time watching. It had a lot of potential with a strong story, but it fails to deliver.